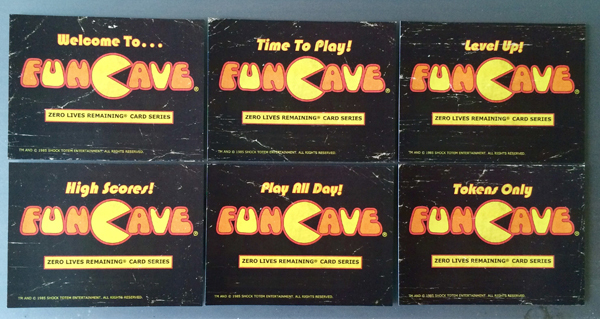 Adam Cesare’s ZERO LIVES REMAINING—Limited Edition Hardcover Available Now! It’s been a long time coming, but the limited hardcover edition of Zero Lives Remaining is finally finished and ready to ship. It took almost a year longer than anticipated (rookie mistake; sorry about that), but we hope it’s worth the wait. It took a lot of hard work from a lot of talented people, notably Frank Walls (artwork), Yannick Bouchard (additional artwork), Nick Gucker (illustrations), and Mike Lombardo and Reel Splatter Productions (film, photography), and we think this is one of the best limited editions ever released. He’s a ghost in the machine, keeping a watchful eye on the arcade where he lost his life two decades before. And the afterlife is good. The best thing ever to have happened to him. But when the conscious electric current formerly known as Robby Asaro makes a decision to protect one of his favorite patrons, Tiffany Park, from a bully, he sets loose a series of violent supernatural events that can’t be stopped. Trapped inside the arcade as the kill count rises, Tiffany and a group of gamers must band together to escape from what used to be their favorite place on Earth…and the ghost of Robby Asaro. 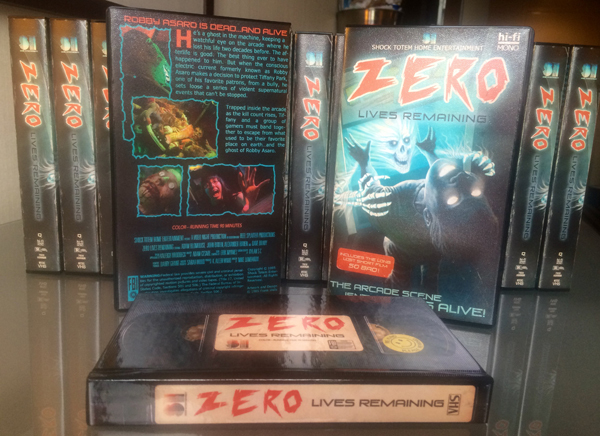 From the author of Tribesmen, Video Night, and The Summer Job, Zero Lives Remaining is a masterful mix of horror and suspense, dread and wonder, a timeless ghost story that solidifies Adam Cesare’s reputation as one of the best up-and-coming storytellers around. This is Adam Cesare firing on all cylinders—and he’s just getting started. 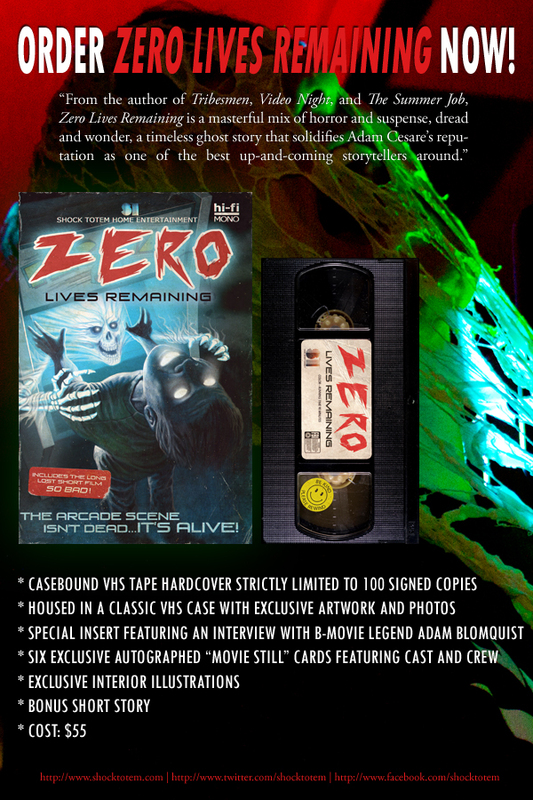 Strictly limited to 100 copies, the hardcover itself is made to look like a VHS tape, which is housed in a classic VHS case with full wraparound “80s horror film” artwork and photography exclusive to this edition. 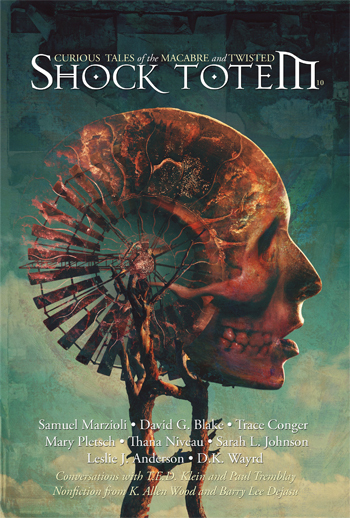 Nick Gucker provides exclusive interior illustrations, and there is also a bonus short story. 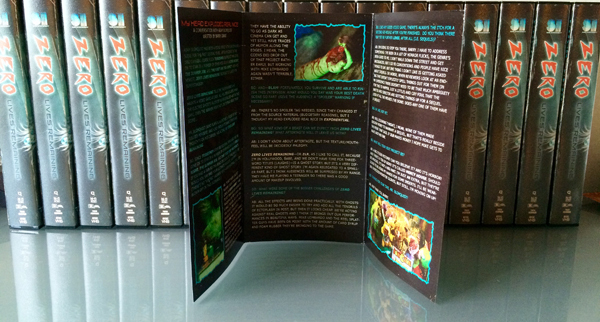 A special insert features additional artwork and photography, plus an interview with “B-movie legend” Adam Blomquist. 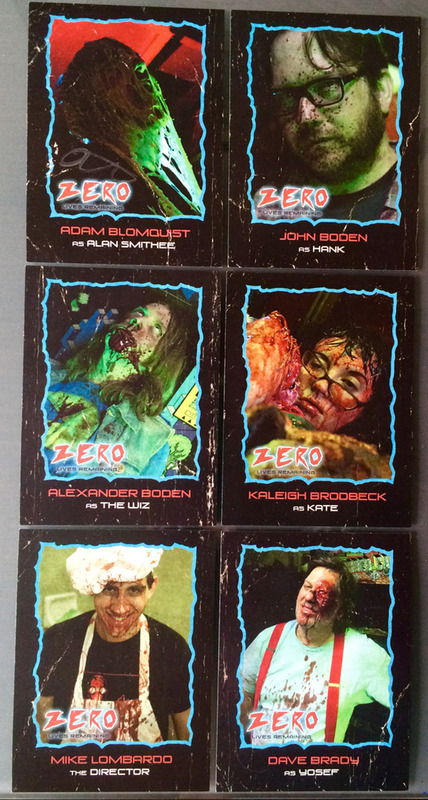 And finally, there are six autographed “movie still” cards featuring the entire cast (from the trailer) and director, Mike Lombardo. We expect this edition to sell out very quickly, so order now if you want to secure a copy. When all 100 are gone, they’re gone for good. There will be no future hardcover pressings. Paperback and digital editions will be available soon.